Seiko has a plethora watch lines at all price points, many of which don’t make it to Australia, and some which do, but only in a very limited form. Launched in 2009, the Galante line/ sub-brand is, like their Spring Drive series, one of the brand’s upmarket lines and, in fact, uses Spring Drive movements as well as mechanical ones. Only sold at a limited number of retailers and Seiko boutiques, there is, in fact, a retailer in Sydney (Sydney Vintage Watches, in the Strand Arcade). 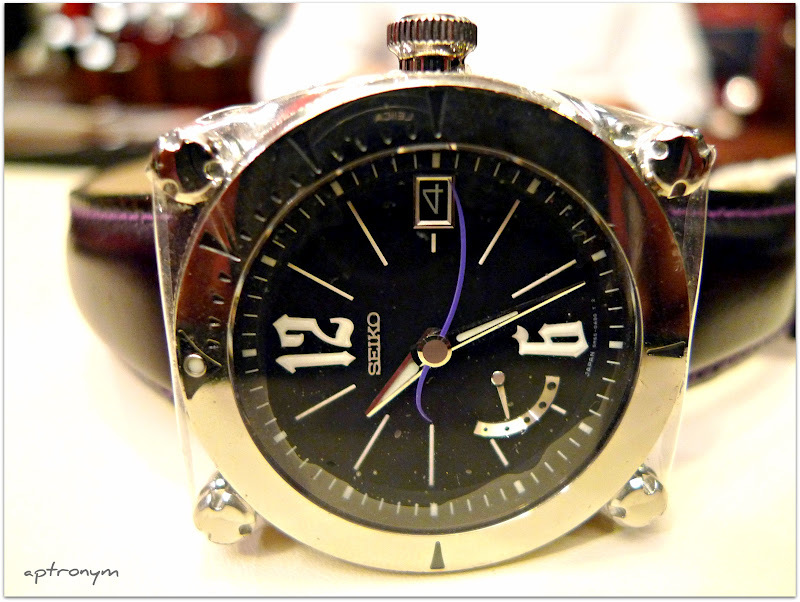 You can read more about the Spring Drive movement here but this movement, introduced in 2005 was viewed by Seiko as their technically most significant development since the quartz Astron. The Galante watches are immediately recognisable from their very distinctive case design. 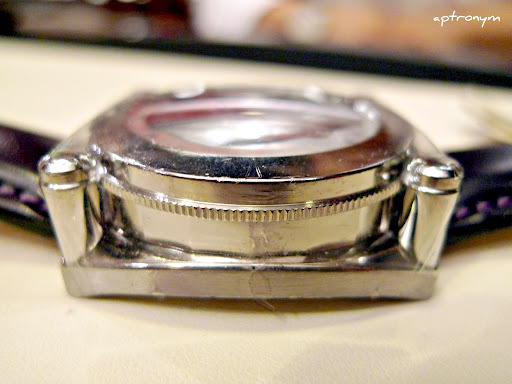 There are four large mounting screws which connect the round case to a tonneau open case back; out of the ordinary, unexpected, and whether it works or not (especially the use of two shapes) is a very subjective assessment. Does it work for me? I don’t mind the quirkiness, and can admire the thought and skill that went into this, but I don’t know whether the novelty value would wear off quickly. This is the Galante Spring Drive SBLA037J. 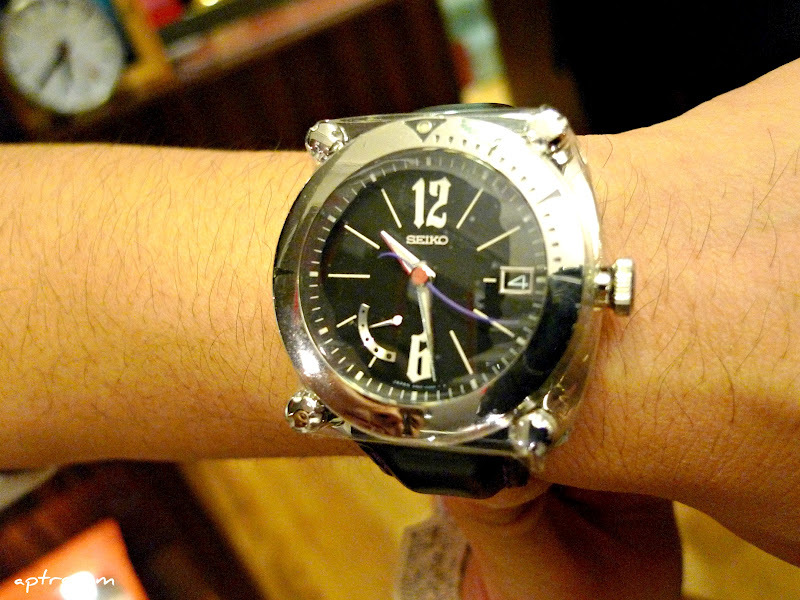 It has a large case, quite thick and heavy, and it is not a watch that can be worn by everyone. 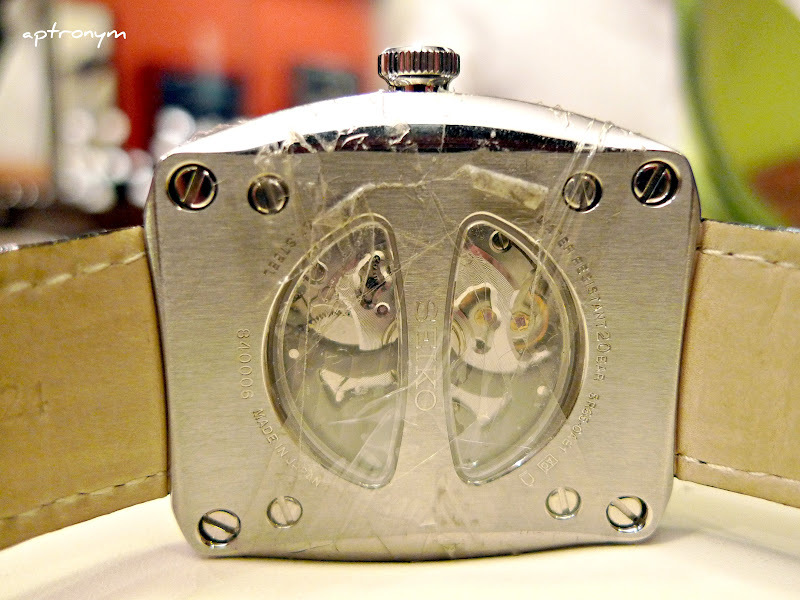 For many, it is liable to become a ding magnet as they become accustomed to the unusual case design. With regards to the dial, the finishing is at an incredibly high standard, as it is with the Spring Drive range. Of particular note is the purple curved seconds hand, which is a feature of a number of the Galante models and particularly attractive to watch in light of the Spring Drive movement creating such a smooth movement in this hand. Some of the Galante range can be quite elaborate, in terms of their dial designs (and even engraved cases), and definitely not to everyone’s tastes. 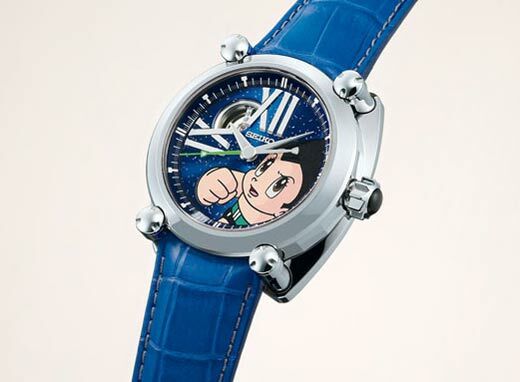 There was even a limited edition (150) Japan only Astro Boy themed one in 2010. If you’ve not ever taken a look at Galante, Spring Drive or any of the other higher end ranges from Seiko, they’re worth having a play with if you get the chance.